Photo 1 by Code Pink. Photo 2 by Ben Powless, Mohawk. Mary the Texas tree sitter continues to hold off TransCanada’s Keystone bulldozers that are seizing family farms at Winsboro, Texas, as an Ottawa judge throws out charges against tar sands protesters at Parliament and Lakotas fight the tarsands in the Plains. The Code Pink delegation is now in Pakistan and meeting with the victims of Obama drone strikes, as a Flotilla ship sails from Italy for Gaza. 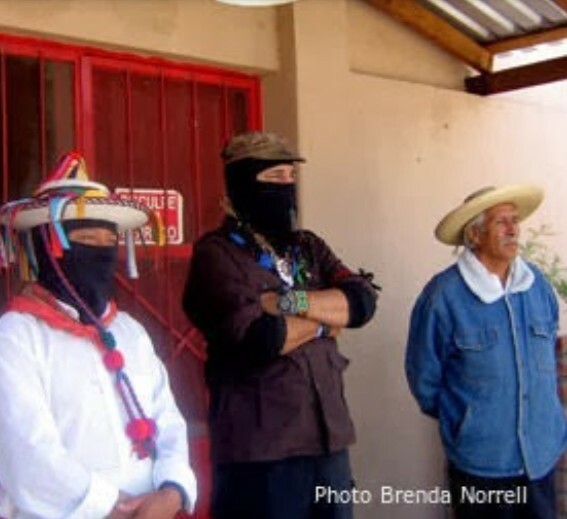 In Arizona, Navajos protest today at Bodaway Gap, as developers, including former Navajo President Albert Hale, push to desecrate sacred Navajo land near the Grand Canyon. In Richmond, Calif, the Occupy movement protests the Chevron Refinery following an August explosion and toxic air releases. However, the mainstream media, a sort of “club” that decides what readers should and should not know about, will be reporting little, if any, of this today, Wednesday, Oct. 3, 2012. It is Day 10 in Winnsboro, Texas, where tree sitters have been holding off bulldozers destroying family lands and seizing Texas family farms. This southern route of the TransCanada’s Keystone XL pipeline, for the dirty tar sands oil from Alberta, Canada, is the same pipeline that Obama came to Oklahoma to promote. I n Ottawa on Tuesday, a judge dismissed all charges against thirteen Canadians on trial. Protesters said they were taking action against “the reckless climate change and energy policies of the Harper Government. The judge threw out the case after the Crown presented insufficient evidence that the peaceful demonstration constituted a crime. 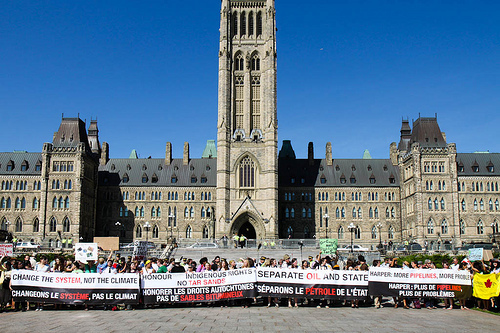 The 13 defendants were arrested on 26 September 2011, during a demonstration on Parliament Hill in which roughly 200 people risked arrest to protest the climate change and energy policies of the Harper government. Native Americans and their allies in the US are challenging US presidential candidates to withdraw support for the Keystone pipeline and Alberta tar sands. 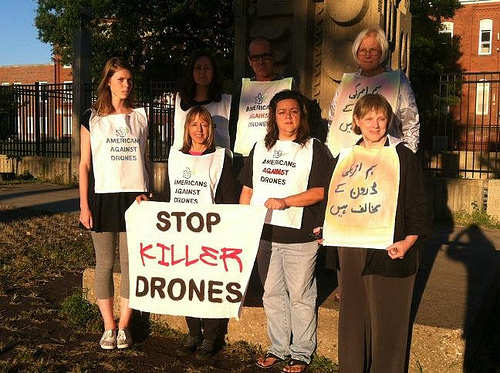 In Pakistan, the full Code Pink delegation arrived in Islamabad today to begin a week of activities to express their opposition to US drone strikes in Pakistan. “The response from Pakistanis has been overwhelmingly positive and welcoming, and many plan to join the Code Pink contingent as it marches to South Waziristan to protest US drone strikes on October 7,” Code Pink said. In Arizona, Navajos protest planned development of a pristine region near the Grand Canyon in the Bodaway Gap area today. It is where the Colorado and Little Colorado River converge. The spokesman for the group pushing the development is Albert Hale, former president of the Navajo Nation who resigned during a financial corruption probe. Hale was then appointed by the Arizona governor to fill a vacancy in the state legislature and is again now being protested by Navajos. The Occupy the Richmond Chevron Refinery Demonstration Protest is today. The march begins at Richmond Bart station at 3:00 pm with a small rally then a march down Macdonald Ave to Washington Park in Point Richmond, where there will be a second meeting point. Then it continues to the Richmond Chevron Refinery, with a mass rally at 5:00 pm.